Local artists and craftspeople opened their own studios or displayed their work in central community spaces during the Festival. 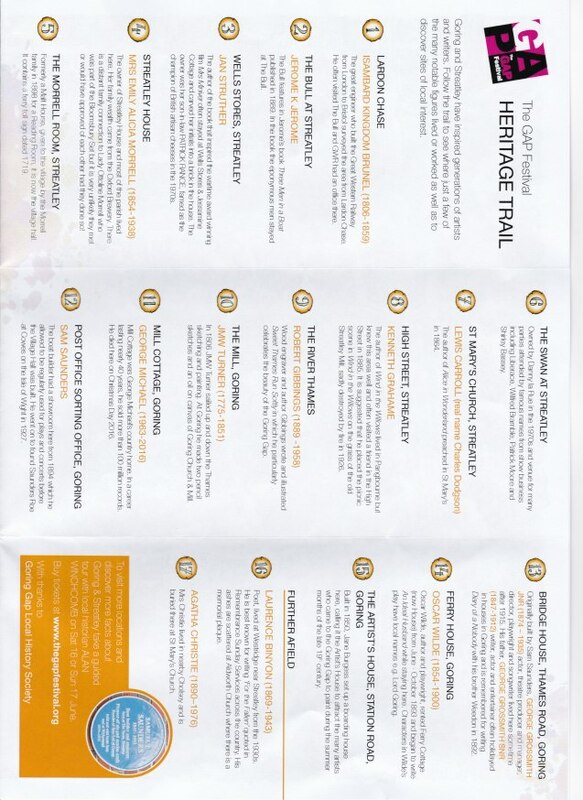 ​The art map will be available from many locations in the villages or just pop into any of the studios where they will be freely available or visit the download section below and print at home. Goring. Each of her oil paintings is as individual and characterful as the subject, representing a unique collaboration between artist and sitter. 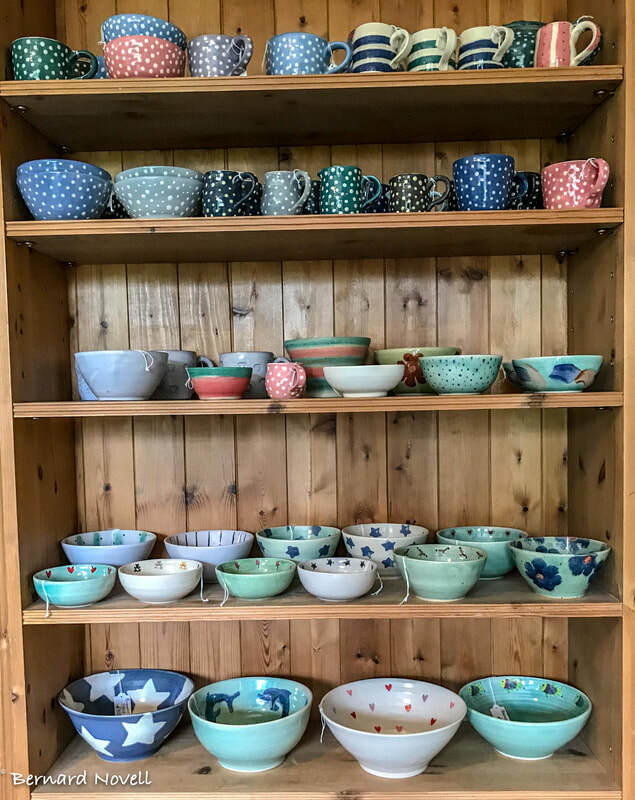 Sarah set up Milldown Pottery, 12 years ago when she moved to Goring. 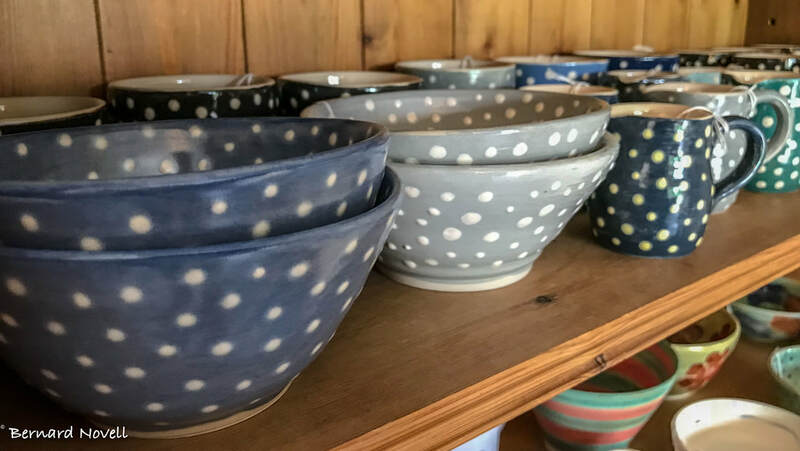 She particularly loves to throw large bowls on her electric wheel and then decorate them with bright contrasting glaze colours. Hand building allows for more unusual shapes & forms, and so another range that she enjoys making are slab built tall jugs. Roberta is a local artist showing her abstract expressive paintings inspired by the wonderful local environment and her travels. Not just capturing the image but rather, with carefully considered colourful marks, expressing the positive feelings these memories recall. She uses mixed media including collage in her work, often relating to a moment in time. ​She also runs art classes and has scarves, bags etc. alongside her art work for sale. 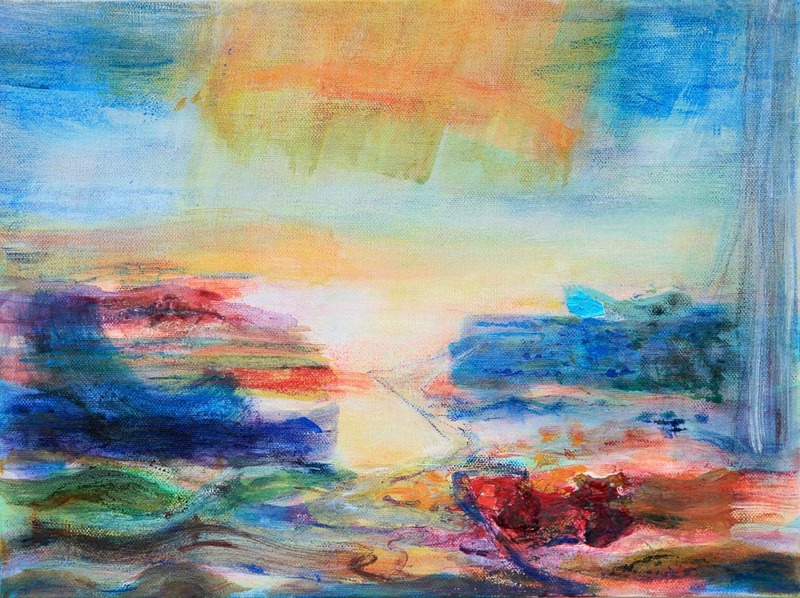 Ann Spencer’s work is inspired by her life in and around the Goring Gap. 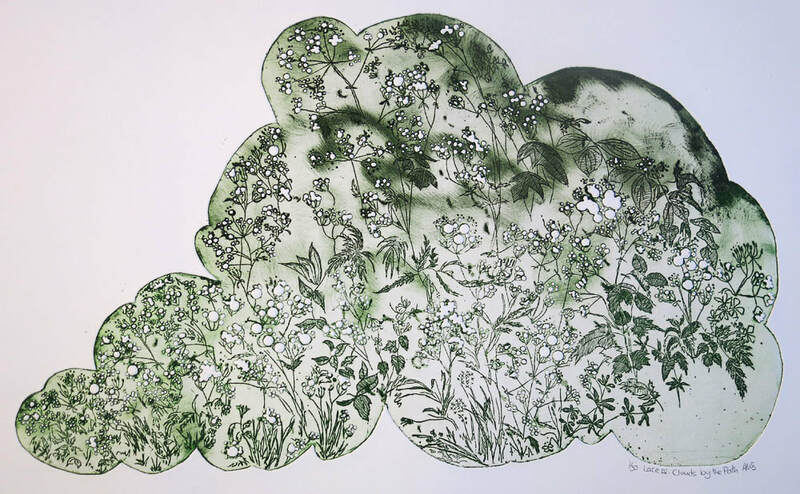 She uses a variety of print making and painting techniques, and her reference is taken from drawings, photographs and memories. She will often emphasise the seemingly insignificant or small things, sometimes giving them new and ambiguous meaning. 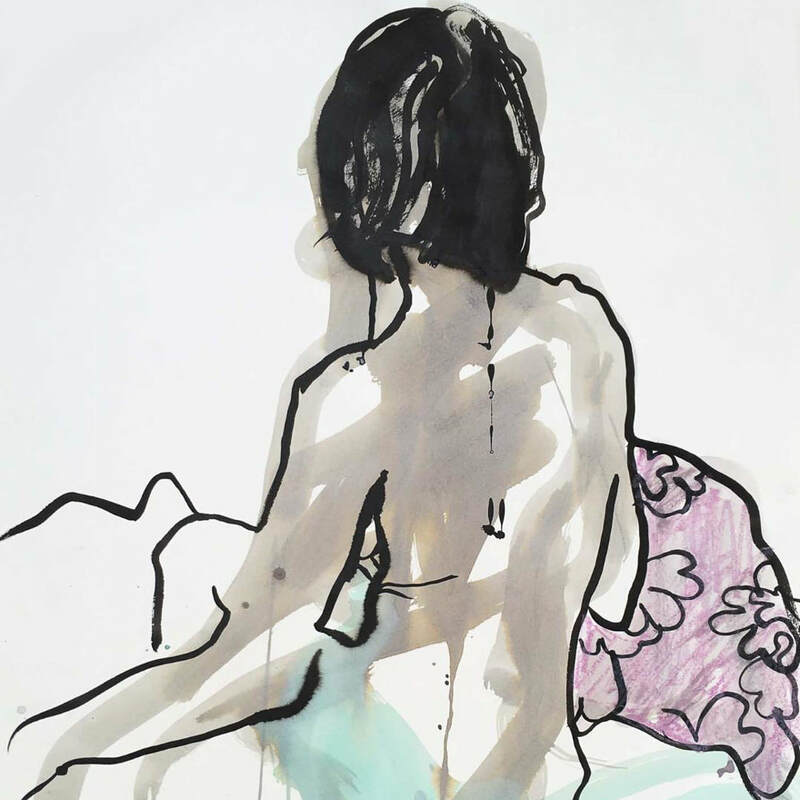 She believes it is important to keep looking and drawing, to understand the visual world around us. Half drawn scribbles in a notebook will often bring memories flooding back. The print making techniques often producing surprises which take the project off in a new direction. 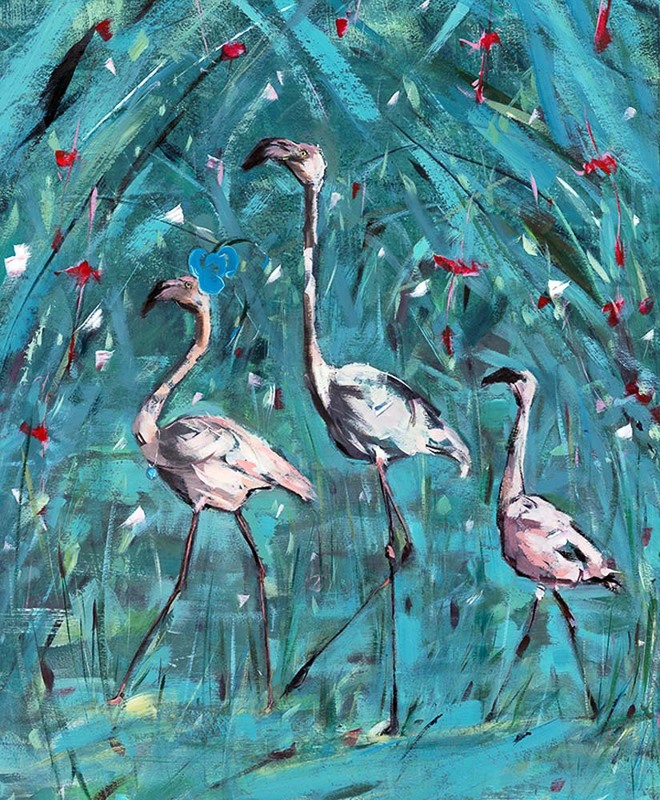 Denny is an intuitive, experimental artist who works in Ipsden, Oxfordshire, she is well known for her luminous watercolour paintings and expressive acrylics on canvas, skills that she passes on to the pupils in her classes at her home based studio. 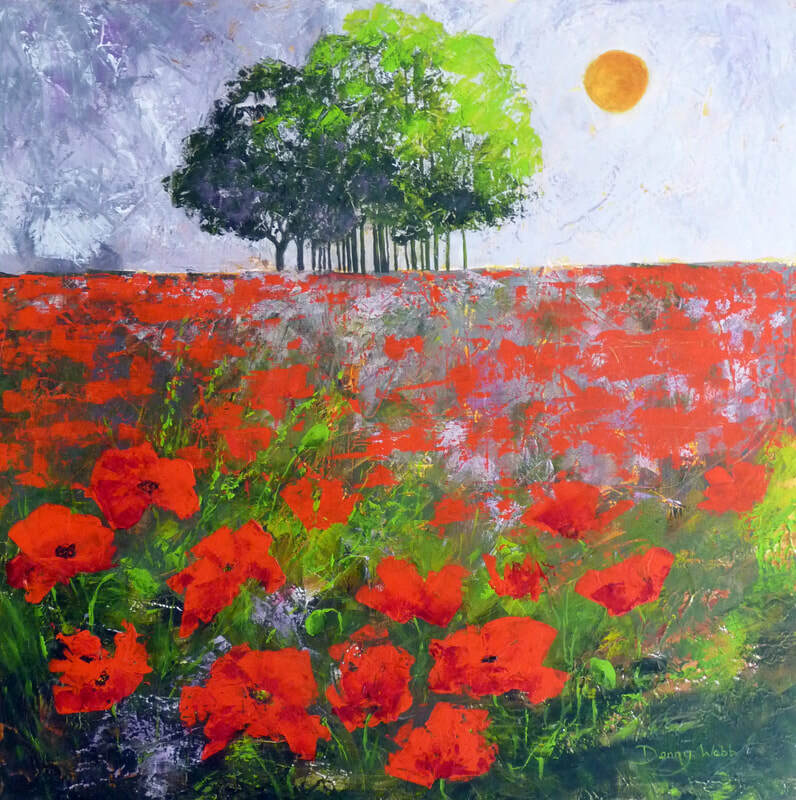 A member of the Oxford Art Society and with paintings sold worldwide, Denny produces luminous paintings full of light and colour capturing the many moods of nature which constantly enchant and inspire her. 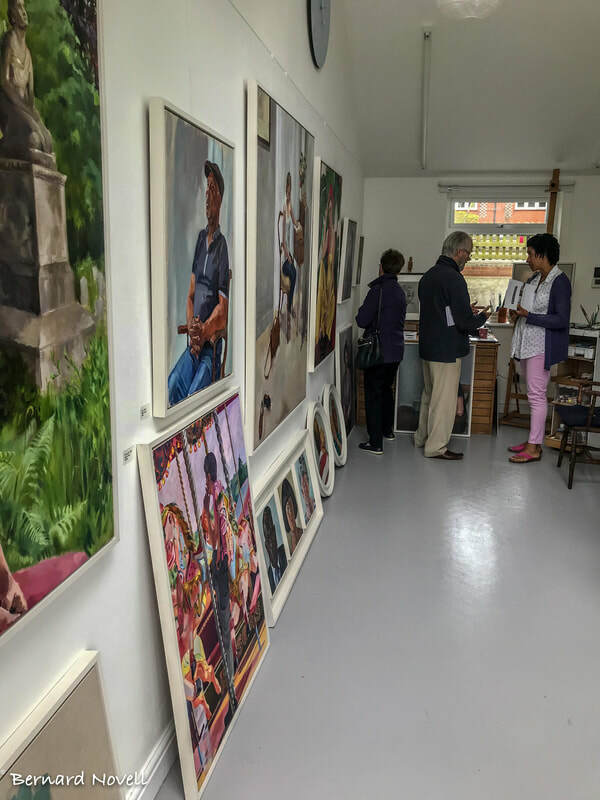 Mandy was born into a family of artists in Woodcote, and went on to study 3D Design at the Berkshire College of Art and Design. 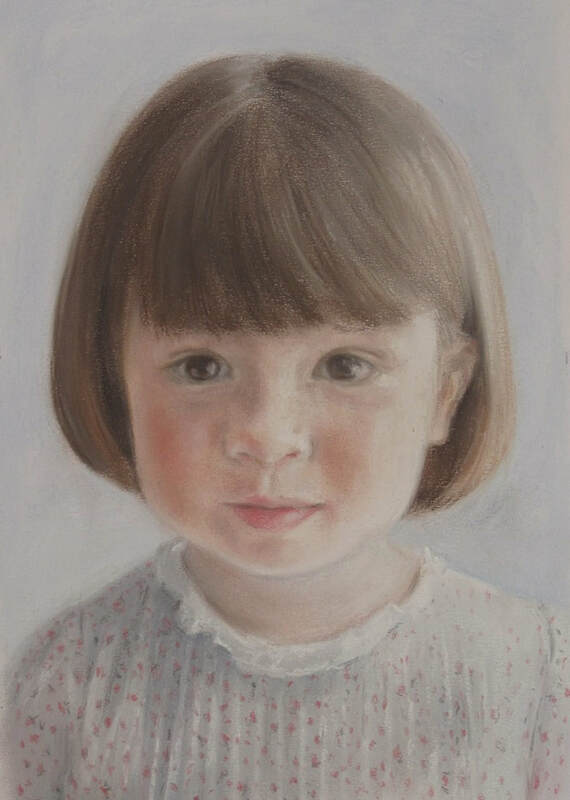 Mandy is now pursuing her love of portrait painting largely in the medium of pastels and is taking on commissions and running classes locally. Charlotte creates life paintings and studies uncovering the beauty and expression of the human figure. Using oil paints, inks and other drawing materials to create thoughtful and colourful pieces. 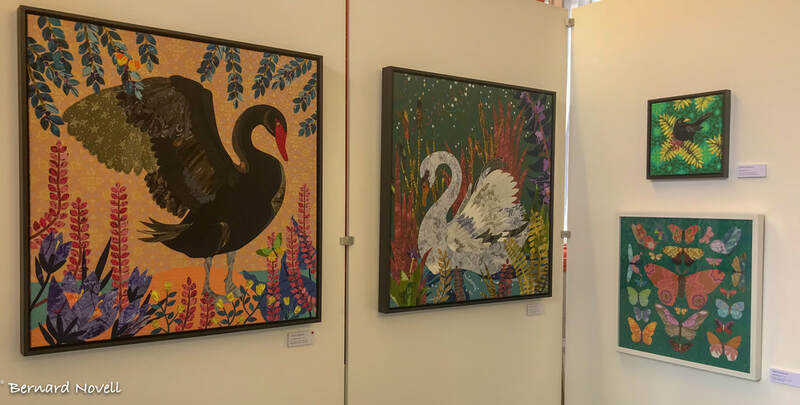 Charlotte is exhibiting with her two fellow Blewbury artist friends Yvette Phillips and Eleanor Wong in the Community Centre opposite the library. 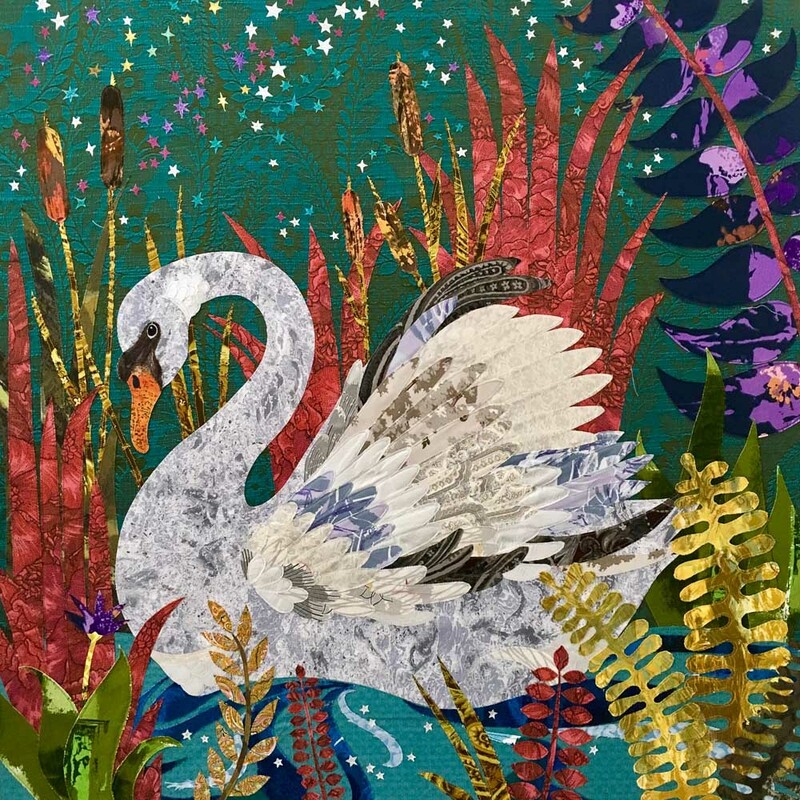 Although graduating with a degree in the Visual Arts specialising in print making Yvette has been passionate about sewing from a young age, now finding a niche as an artist in textile collage, incorporating hand and free-motion machine embroidery. 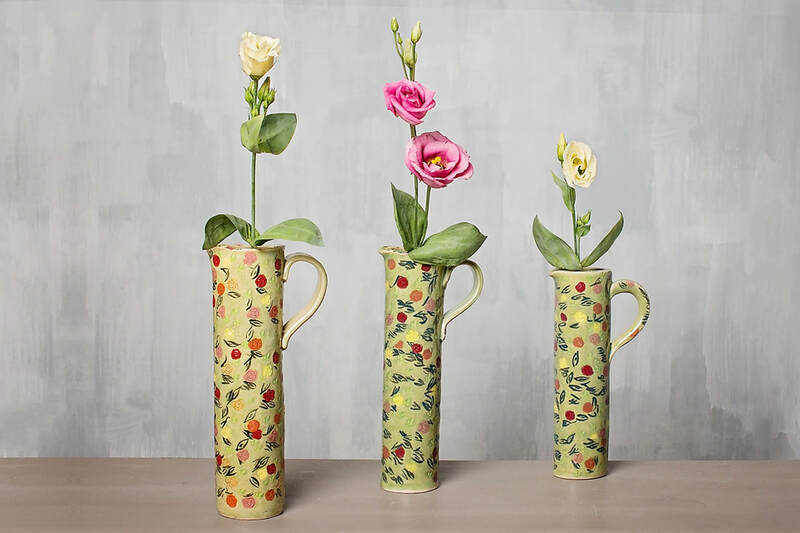 She is naturally drawn towards beautiful vintage fabrics and their colours, textures and resonance and also the natural world of her home environment. Eleanor's art explores the free-thinking nature of childhood, and the loose and beautiful ways of seeing and imagining the world. Avoiding grownup rules, with no fixed realities, her art is an expression of moments of freedom that spark happy childhood feelings thereby bringing back playful moments and memories. A celebration of textiles made from within the community the church will come alive with colour and texture complimented by wonderful arrangements of flowers. ​Work by the following artists will be on view on Friday 15th, Saturday 16th and Sunday 17th June at times when the church is not in use. Exuberant and colourful art from the Festival outreach programme created in 2018 with local primary schools in the area and displayed outside in the Rectory Gardens adjacent to Goring Village Hall. 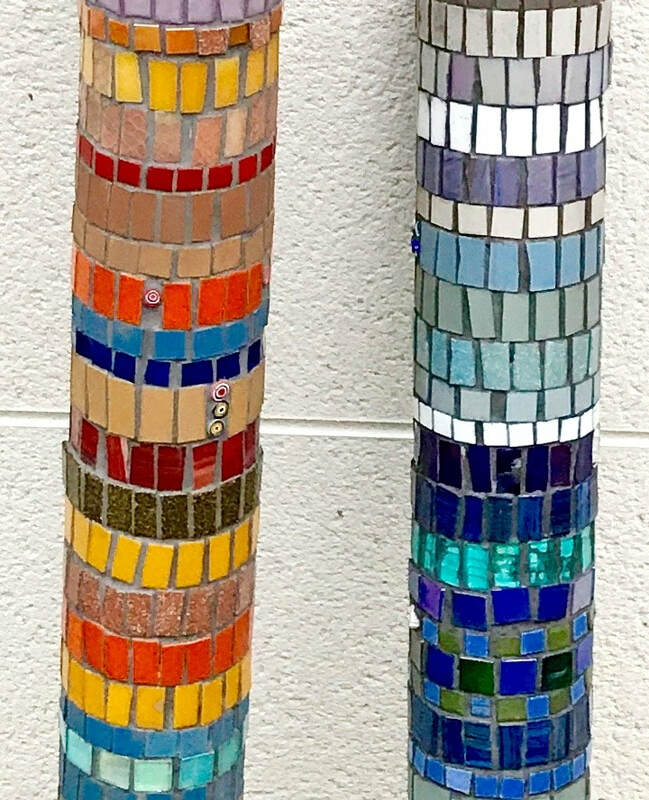 The “Equinox “ project of totem poles created by the schools in mosaics will go on to be part of a wider project in September. The poles will be combined with ceramic, glass and metalwork creations made by community groups in the wider area and displayed on Pangbourne Meadows, to celebrate the autumn equinox. Mirren Kessling, a graduate of the Ruskin School of Art, Oxford University was recently featured as one of the "top 100 contemporary artists" by Aesthetica Magazine. 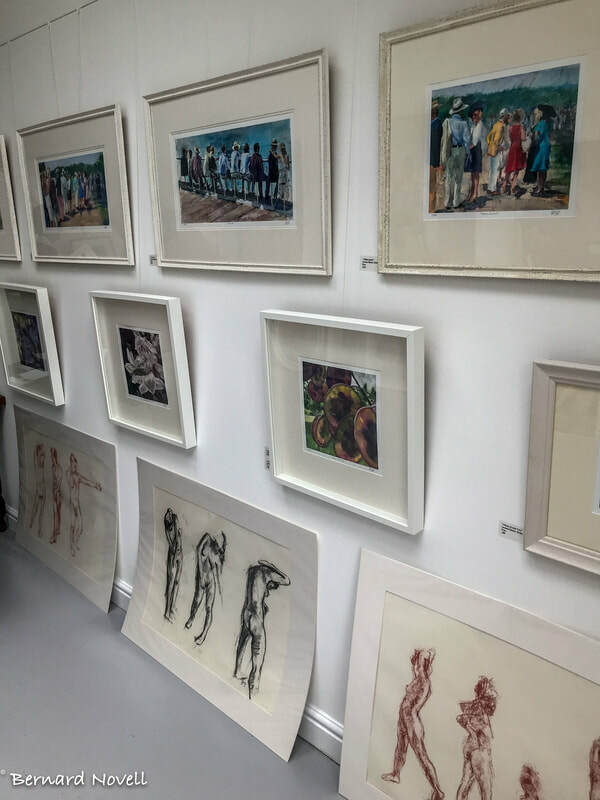 She first exhibited her artworks at Modern Artists Gallery in Whitchurch at the age of 15 whilst studying for her GCSE's at The Down School, West Berkshire; now 24, Mirren has exhibited her work throughout the UK and Internationally. 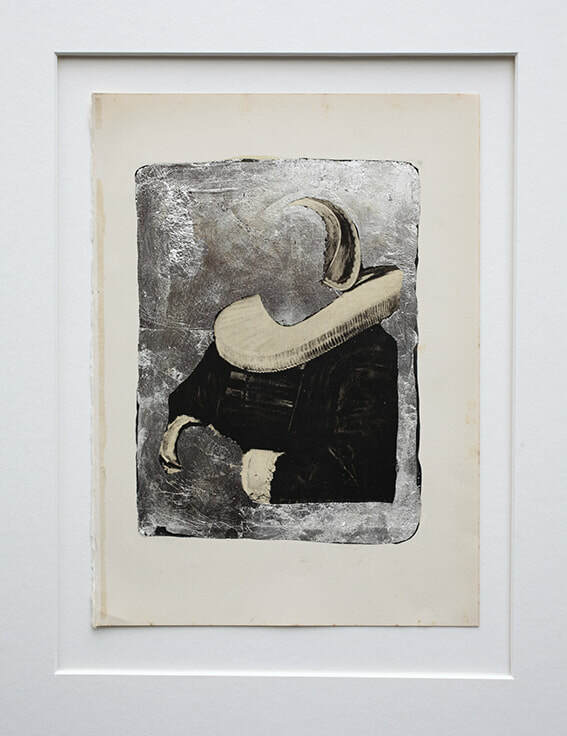 For the Gap Festival she has made a series of gilded artworks made partly from antique book plates that she avidly collects from second hand bookshops. 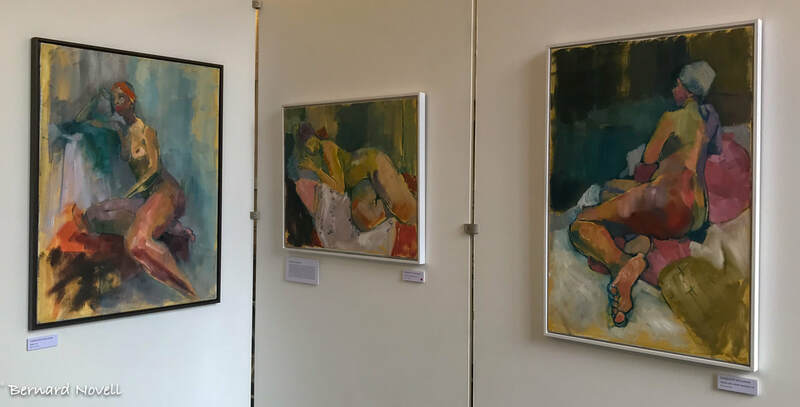 Mirren has exhibited her work at the York Art Gallery, Museum for the History of Science, The Ashmolean Museum and Modern Art Oxford and at art fairs within the UK, plus internationally throughout Europe, New York, Miami and Asia, including Hong Kong and Singapore. 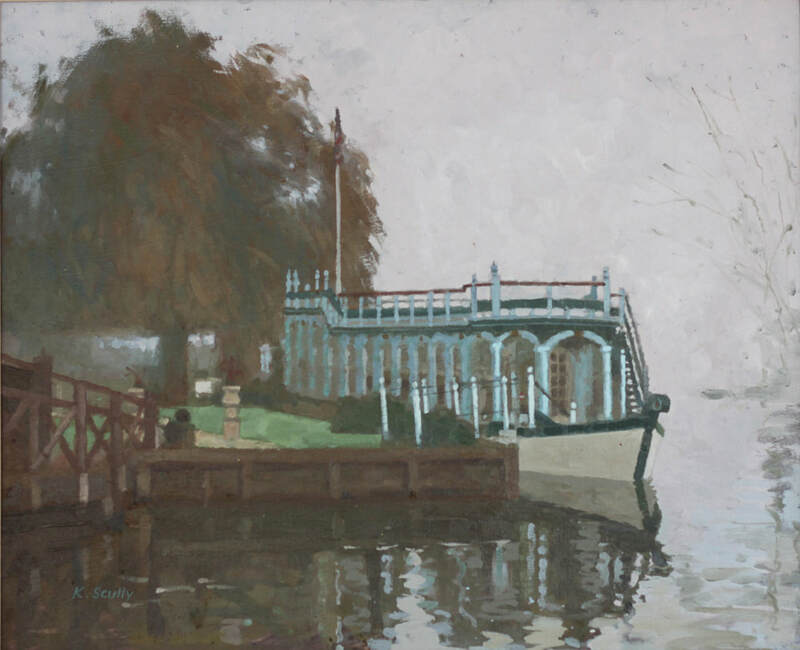 Former resident of Streatley and a 1st Class graduate of the Courtauld Institute of Art. After graduating Harriet studied Fine Art at the Surikov Institute, Moscow and the Repin Academy of Fine Arts, St Petersburg, Russia. 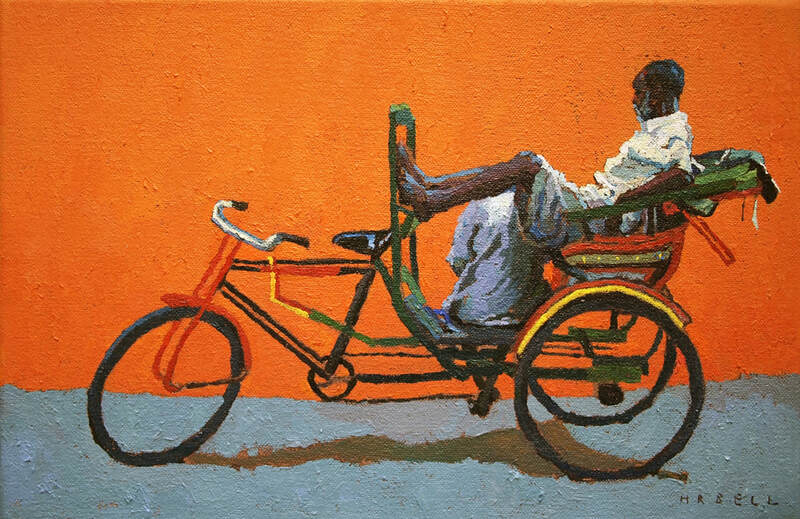 Her beautiful paintings reflect her travels and other cultural influences. ​Harriet is the great granddaughter of Newlyn School artist Frank Gascoigne Heath. Travelling widely in his capacity as a well respected art tutor, Kevin’s landscape paintings portray a great variety of locations from The Goring Gap to Morocco and beyond, painted in a variety of different media.An ex-resident of Streatley, Kevin now works from his studio in Hampstead Norreys as an artist and garden designer and has written several books about art techniques. 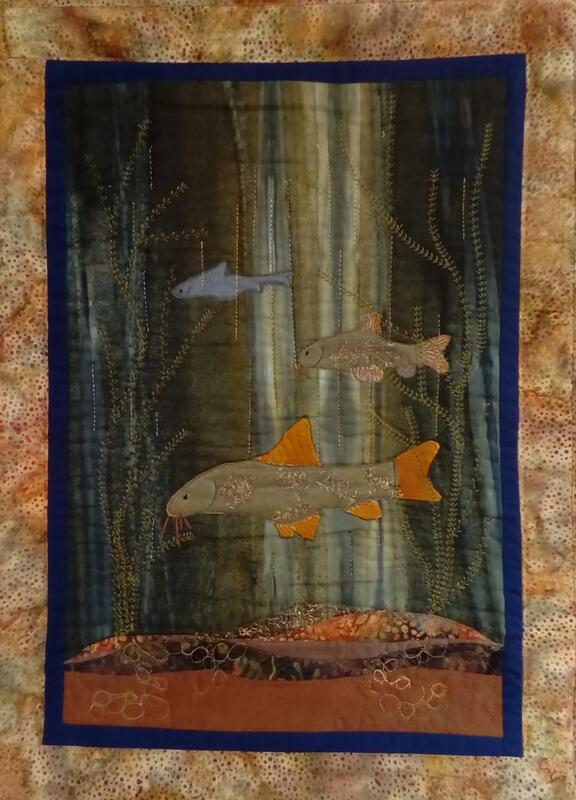 Better known for her mosaics and work with schools, Jane enjoys exploring art in many other forms. 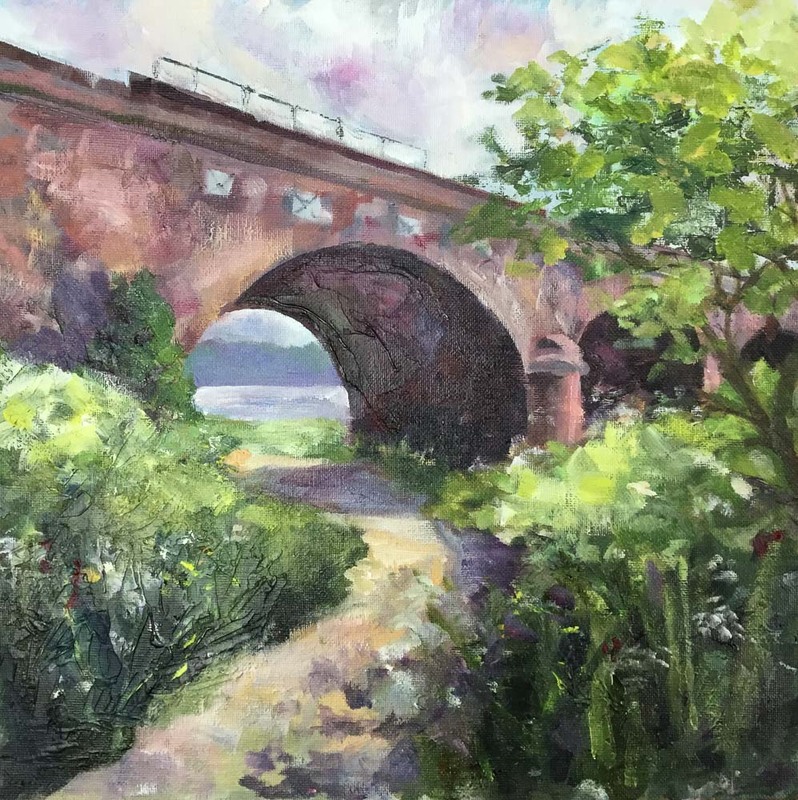 Painting in watercolours and oils she feels she is constantly learning and prefers to think of herself as a keen amateur, largely creating for her own pleasure. She opens up her home and garden as an exhibition space for 4 other local artists. Visitors are welcome to come and give mosaics a try in her garden studio over the weekend of 16th/17th June. Jac’s pots are made from soft clay slabs and coils of stoneware clay. The surfaces are textured and finished to give a weathered look reminiscent of natural stone. They are fired in the kiln to a very high temperature making them frost resistant. 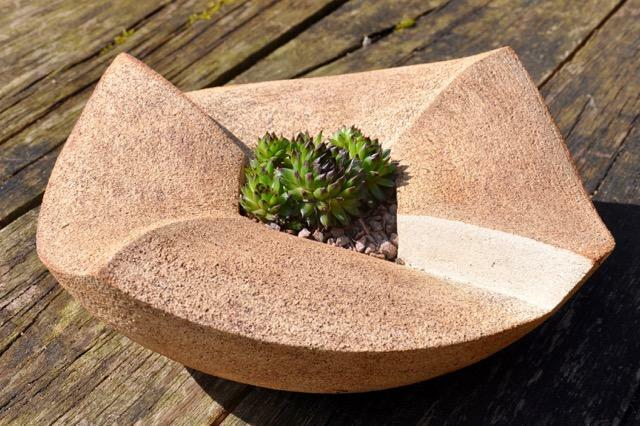 She takes inspiration from rock formations and weathered stone with plants growing in cracks and crevices. The pots are planted with sempervivums, commonly known as “houseleeks” which like the pots are suitable for outdoor conditions all year round. 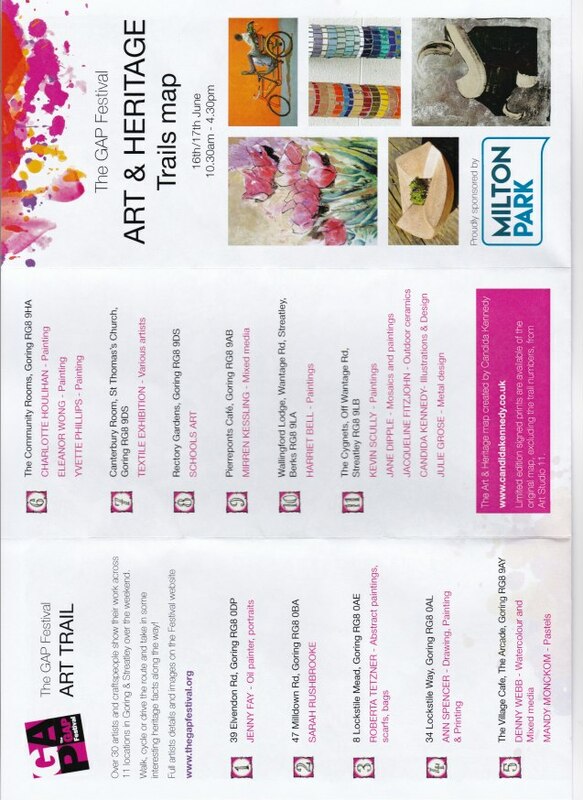 Candida’s artwork can be seen all around the villages in the form of the Gap Festival Art & Heritage map. Her delightful and unique map designs can be commissioned for any number of different uses from business cards, invitations, house portraits to cards and stationery. She also makes cheeky little felt mice and small pictures from felt, bone buttons, wool, ribbon, faux pearlsand a touch of watercolour. 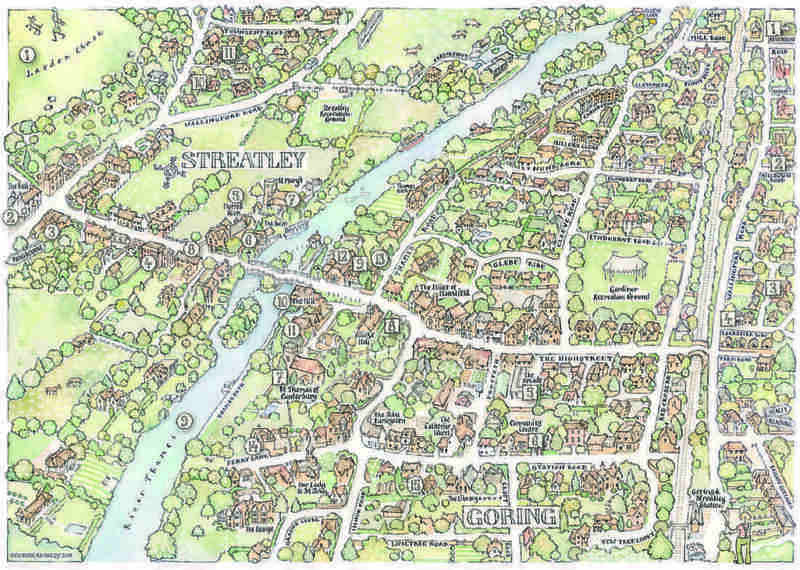 Copies of the original artwork of Goring and Streatley villages map can be purchased as a limited edition of prints from Studio 11. All sales benefit the Festival. Sculptural blacksmith, Julie Grose, is a designer maker who makes metal sculptures and functional items from her forge in Wallingford. 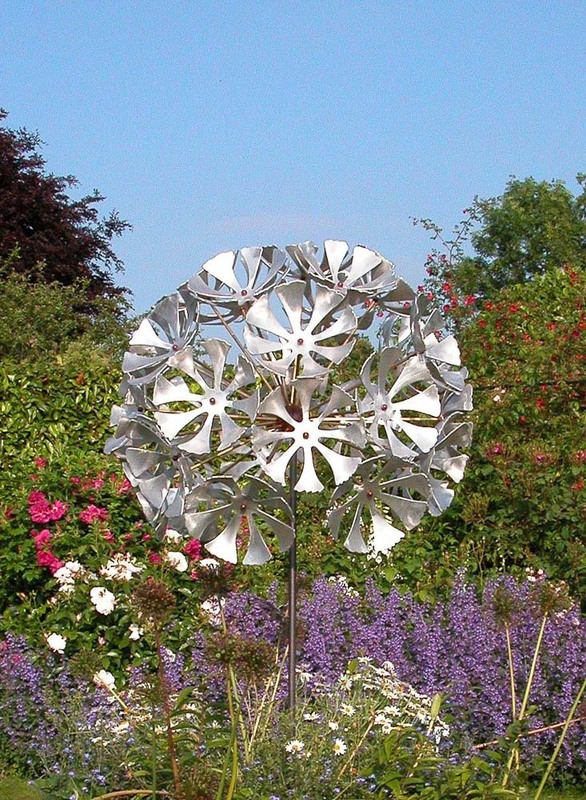 Julie creates a range of architectural ironwork, home wares and garden art, using traditional blacksmithing and fabrication methods incorporating contemporary and classic designs. ​She will be exhibiting in the garden of Studio 11.